Bleach is one of the most powerful cleaning tools you likely have in your household. It is able to remove bacteria, stains and more from many different surfaces and fabrics. It will also cause serious damage if it isn’t used properly or there is a spilling accident in your home; more importantly, the carpet. If you have spilled bleach on your carpet, you know the results aren’t good. 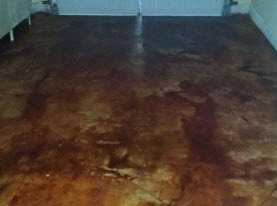 Agape Carpet Color Restoration is here talk about how to effectively fix bleach spots on your carpet. What Causes Bleach to Strip Carpet of Color? The active ingredient found in bleach is sodium hypochlorite. This is more commonly known as chlorine. When it comes in contact with other fabrics, and in this case carpet, it will cause a chemical reaction that will strip the carpet of its color. While this is often called a bleach stain, its true term is bleach spot. Stains involves color and the color is completely stripped from carpet when it comes in contact with bleach. While it may be tempting to pour water on bleach to try and get it neutralized before it causes more problems, this is a big mistake. When you pour water on a bleach spot, it will only cause the bleach to spread and the bleach spot to be larger in the end. Others try to use alternate cleaners to try and remove bleach or scrub the carpet with towels and rags to remove it. These techniques will only worsen the problem. Can You Recolor Bleach Spots Yourself? While you can learn a lot from a YouTube video in many circumstances, you shouldn’t turn to YouTube to solve your bleach spot problem. Many dyes that people try to use on their carpet aren’t made for carpeting and end up causing more damage than they do good. Even those that claim pastels mixed in cleaner are a good option for bleach spot repair. The problem with this method is that it only temporarily works. 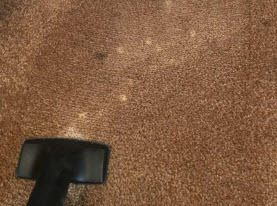 The next time the carpet is professionally cleaned, or the carpet experiences high traffic, the color will wear off and you will have a bleach spot again. The first thing you can do when you have bleach come in contact with your carpet is to gently blot the spot with a clean towel to remove the excess moisture. Following this step, you should call the carpet coloring professionals at Agape Carpet Color Restoration to handle the bleach spot repair. We are able to match the color exactly to your original carpet color, and the dye will last the lifetime of the carpet. Without the right training and equipment, it is nearly impossible to repair a bleach spot on your own. 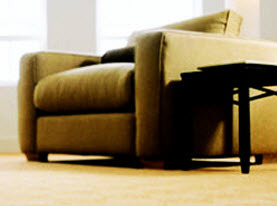 We will be able to inspect the type of fiber that your carpet is made of and work to repair the problem. 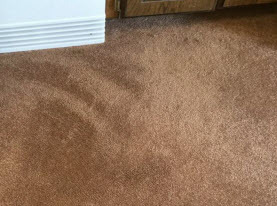 Bleach spot repairs offered by our team will save you 65-70% when compared to replacing carpet. Call us today!